(BALTIMORE, MD) – Maryland State Police homicide investigators and their partners in the Baltimore Police Department are actively continuing their investigation into the murder of a North Carolina teenager, who went missing while visiting family in Baltimore almost one year ago. Phylicia Barnes was visiting family in Baltimore when she disappeared on December 28, 2010. Her body was found on the morning of April 20, 2011, in the Susquehanna River near the Conowingo Dam in Harford County. The Office of the Chief Medical Examiner ruled her death was a homicide. Investigators have yet to publicly release the cause of death due to the importance of that information to the ongoing investigation. Detectives from multiple units in the Baltimore Police Department, including the Homicide Unit, were investigating the disappearance of Barnes. When her body was found in Harford County, Maryland State Police Homicide Unit investigators joined the investigation into her murder. This joint investigation has continued since April, with the assistance of multiple other local, state and federal law enforcement agencies. No charges have been filed or arrests made in connection with the murder of Phylicia Barnes. Investigators have worked the case continually and progress has been made, although making the details of that progress public at this time could hinder the outcome of the investigation. The work of investigators has included re-interviewing family and friends, reviewing evidence, searching for and analyzing additional evidence, and conducting forensic examinations. Investigators have continued to work with the Harford County State’s Attorney’s Office and have kept officials there updated on the investigation. Concerned citizens have called regularly with tips and theories for investigators. That information has all been reviewed, analyzed, and investigated. Police continue to urge anyone with information regarding the murder of Phylicia Barnes to contact them immediately. Several avenues of communications have been opened for persons with information in this case. Persons may provide tips to Metro Crimes Stoppers; a TIPS Line at 1-855-223-0033. Or, they can call the Maryland State Police duty officer at 410-653-4200. This case has been closed by arrest! UPDATE: Several weeks ago the body of Phylicia Simone Barnes was located in the Susquehanna River, above the Conowingo Dam. Her death has been ruled a homicide and investigators from the Maryland State Police and Baltimore City Police Departments are still actively working the investigation. Anyone with further information that could lead to the arrest of the suspect(s) is urged to contact Metro Crime Stoppers or another tip line at 1-855-223-0033. 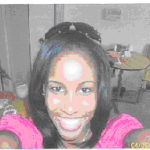 On December 28, 2010 at approximately 1:30 p.m., Phylicia Simone Barnes (16) went missing from 6520 Eberle Drive. Ms. Barnes went missing under unusual circumstances. She stands 5’8” tall and weighs approximately 120 lbs. Total Security Services International Inc. (TSSI) has posted a $5,000.00 private reward and Charm City Roller Girls’Fans/Supporters has posted a $1,000.00 private reward for the return of Phylicia Simone Barnes. Anyone with information about this crime is asked to call Crime Stoppers at 1-866-7LOCKUP or go to our website at www.metrocrimestoppers.org and submit your tip. You can text a tip to “CRIMES” (274637) by including “MCS” in your message. Crime Stoppers does not use Caller ID or record telephone conversations. A special coding system protects the identity of the caller. Crime Stoppers also takes calls from persons with information about any felony. Information leading to the arrest and/or indictment of a felony suspect could qualify the caller for a reward as determined by the Crime Stoppers Board of Directors. For more information on Metro Crime Stoppers of Maryland, visit our website at www.metrocrimestoppers.org or call Crime Stoppers toll free at 1-866-7LOCKUP.